Seattle-based Presidents of the United States of America (PUSA) are returning home to perform the post-race concert of the Rock ‘n’ Roll Seattle Marathon & 1/2 on Saturday June 21. The Rock ‘n’ Roll Seattle Marathon & 1/2 creates an invigorating mix of fitness and live music, lining each mile of the 13.1 and 26.2 mile race course with local bands performing various genres. 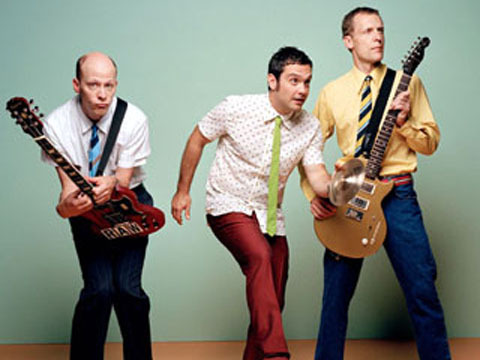 PUSA’s debut self-titled album spawned huge radio hits like “Lump” and “Peaches,” earning them two Grammy nominations. The rockers recently released their sixth studio album, titled Kudos to You! “This is a proud music city and so it’s very appropriate and exciting to have a Seattle band perform as our headliner,” said Alex Bennett, event director. “There is so much to see and experience here, and we try to encapsulate as much of that as possible for our runners by creating a race course that really highlights what makes Seattle so special.” PUSA will get the finish line party started at the Seattle Center with a free concert, welcome to everyone. Seattle Mayor Ed Murray has announced that he is appointing Kate Becker as the new director for the City’s Film + Music Office. Becker will replace James Keblas, who has served the Seattle film and music community for the past nine years. Prior to joining the city, Becker served in leadership roles with the Seattle Theatre Group, Art Share LA in Los Angeles, and at the Vera Project. She also founded an all ages venue and teen center, The Old Fire House, in Redmond, WA and led that program from 1992-2003.